Last year, Konami celebrated twenty years of their football series and what a series it’s been; from International Superstar Soccer (and Valderrama’s hair) to PES 16, we’ve seen some fantastic football games. I remember playing countless matches on ISS back in the day, scoring with a corner kick and trick shots on the goal line. Over the years the property has had many iterations and has featured some questionable ideas (dinosaurs and penguins? ), but fundamentally the game has always been about putting the fun and fluidity of football first. 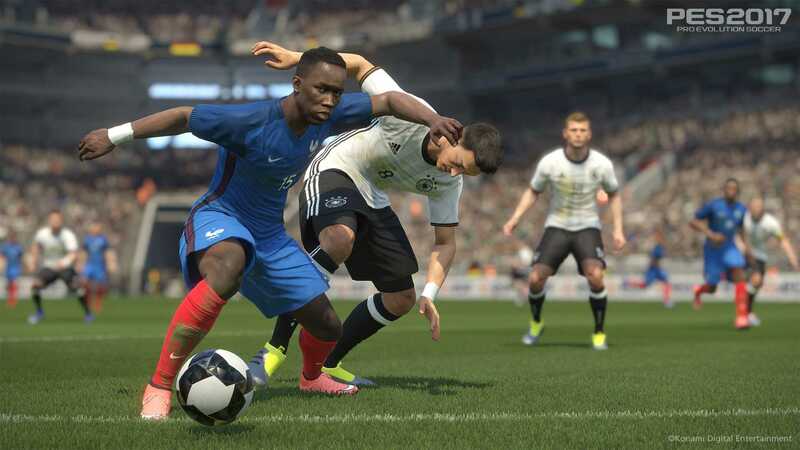 PES 16 was the highest rated sports game of 2015 on Xbox One and PlayStation 4; even getting better scores than its biggest rival FIFA. I’d dipped in and out of Pro Evo over the last 5 years, but it wasn’t until last year’s game I was back in in a big way. The way it plays is phenomenal and the different modes were fleshed out to give you a whole host of opportunities to enjoy the beautiful game. 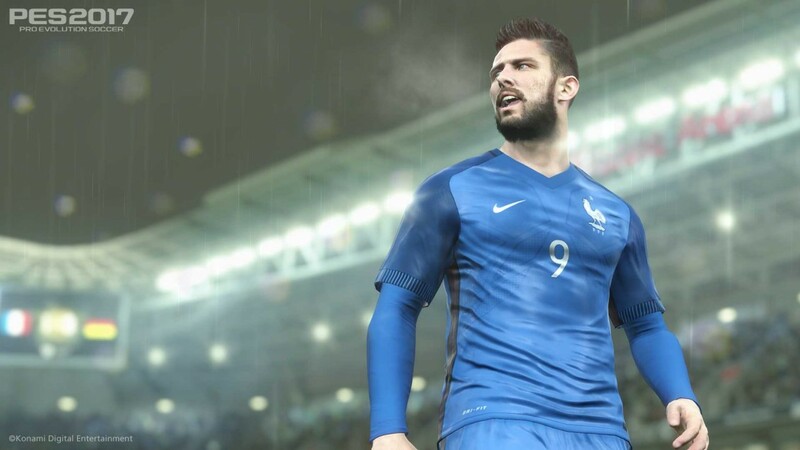 Trying to top PES 16 was always going to be hard, but after spending a considerable amount of time playing the next installment, PES 17 has much more to offer. Adam Bhatti, PES 17’s Product Manager gave a brief presentation on the game’s new features and how PES 17 will continue the legacy of Konami’s football franchise. Adam acknowledged PES 16 suffered after launch with the game’s rosters and stated this time around we’d see weekly updates for teams, staff and formations right from launch. He also stated from the off that Konami is “committed to the FOX engine” and have “adapted even more of the engine” for PES 17, which is abundantly clear. 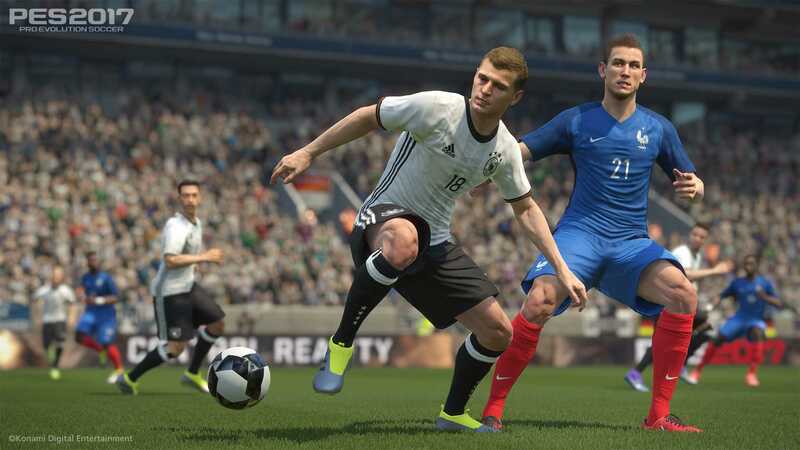 The visuals in PES 17 are remarkable and the use of the FOX engine has helped to enhance them significantly. Adam showed this year and last year comparisons of facial models of De Gea, Kroos and Coutinho, and each of the faces in PES 16 looked almost zombie-like and the change is spectacular. There are also aesthetic improvements to the lighting and crowd designs, along with seeing the player’s breath in the winter and rain splashing off the net when it’s hammering it down. “The FOX engine is always improving,” says Adam, and it’s exciting to see what the game will look like when it’s finally out. The main complaint with PES 16 was the goalkeepers, so their main priority was making improvements to their AI. The keeper’s animations have been redone and so has the AI. In one of my matches Cech (Arsenal are in PES 2017) made an incredible save and his reactions were lightning fast, proving Konami has taken some of the fans concerns on board – I’d not seen a save like that in PES 16. You can also send keepers up to the box in the dying moments of a game and these commands can be given through total team control: an advanced instruction system giving more choices while playing. You can give your team instructions during a corner kick, like moving them closer to the goal line by pressing the D-pad when you’re lining up the corner. There are also new strategies to choose in-game like the defensive recovery of gegenpressing or the short passing and movement game of tika-taka. Maybe the greatest inclusion on PES 17 is adaptive AI. It will learn how you play and adapt tactics accordingly. I like to play wide balls and work the ball up the wings before putting a cross into the box. I had to mix up my strategy towards the end of the matches because I was having certain players man-marked by two players instead of one. There were times when I was flooded in the box and my crosses were being cleared a lot more than at first. I was dubious as to how much I’d notice this change, but I wasn’t winning every game. I wasn’t exploiting their weaknesses as I was on PES 16. It felt like I had lost my ability a little, but I liked it. It mixed it up and kept each game feeling different, helping me to improve as a gamer. The matches have slowed down, not massively, but enough to notice, and it does feel like simulation plays more of a role this time around. It feels different from last year and I’m not sure if everyone will appreciate the changes, but it’s still fun to play and looks phenomenal. I like the way you have to adapt to each match and when the game releases it will be great to see what each of the teams included are like to play against. The game is still in development, but there’s a huge chance PES 17 will be the best football game for a second year on the trot.